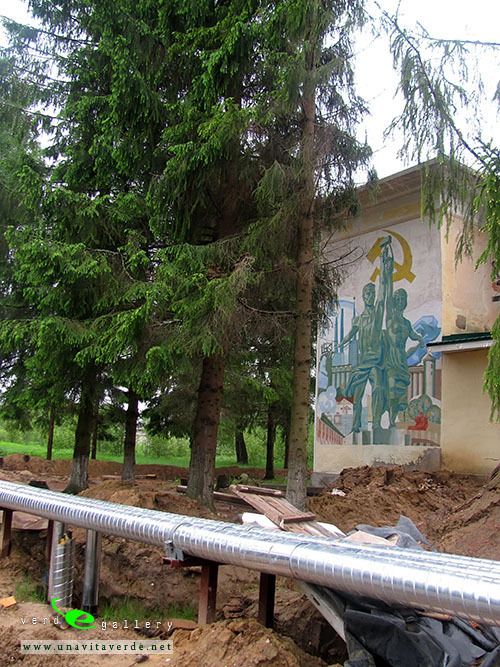 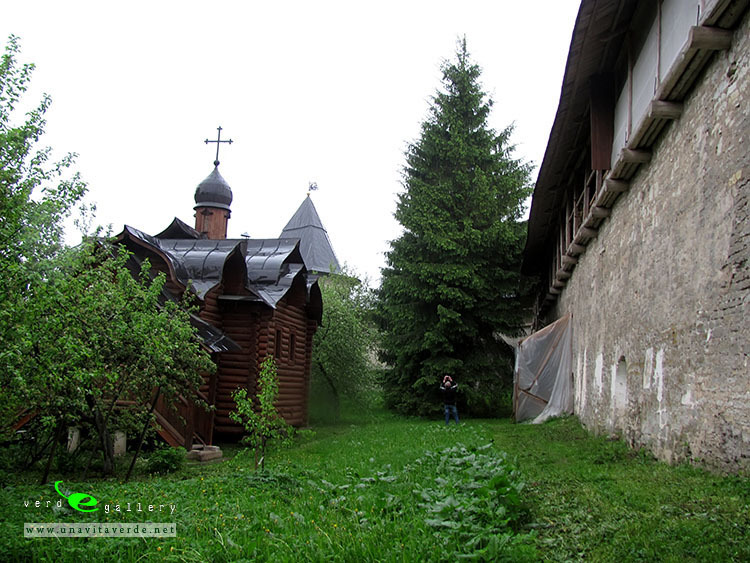 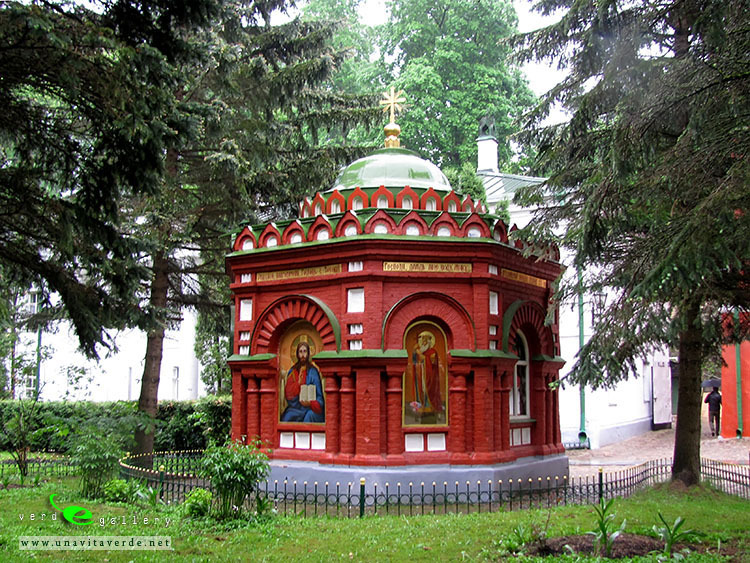 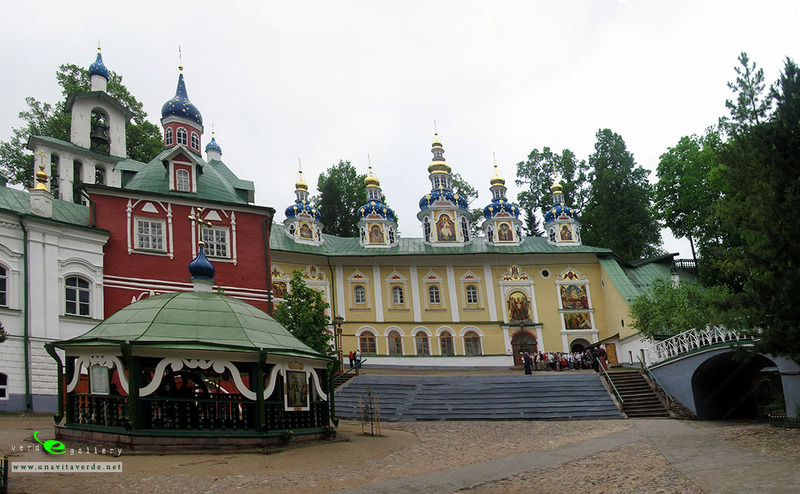 Holy Dormition Pskovo-Pechersky Monastery. 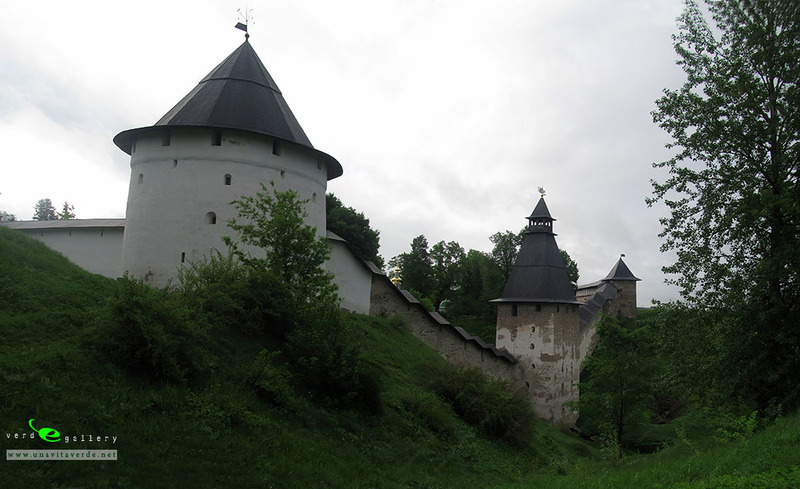 Photos. 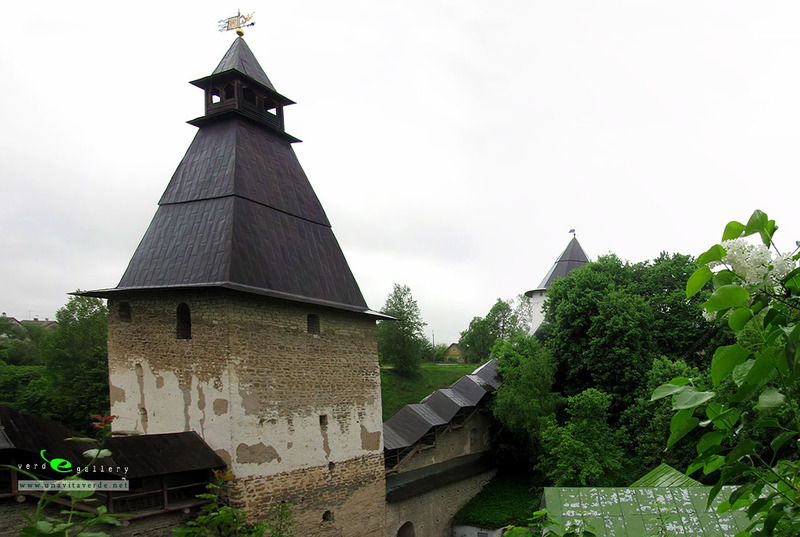 The Pskov-Caves Monastery. 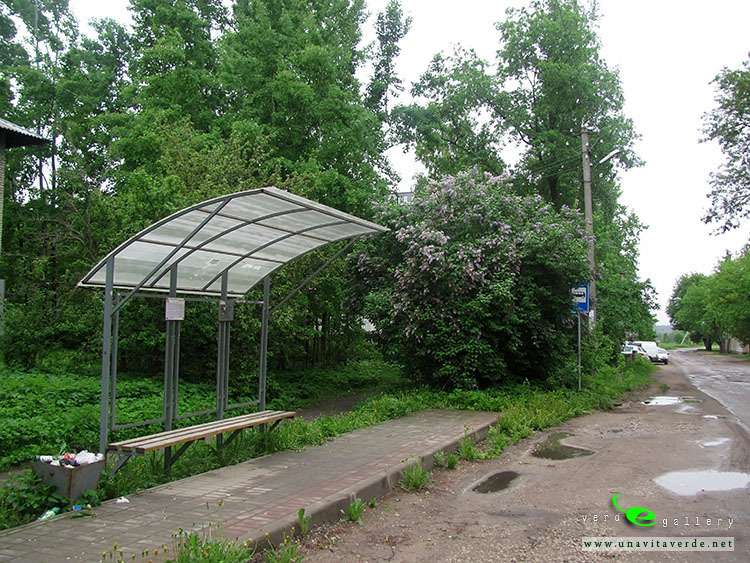 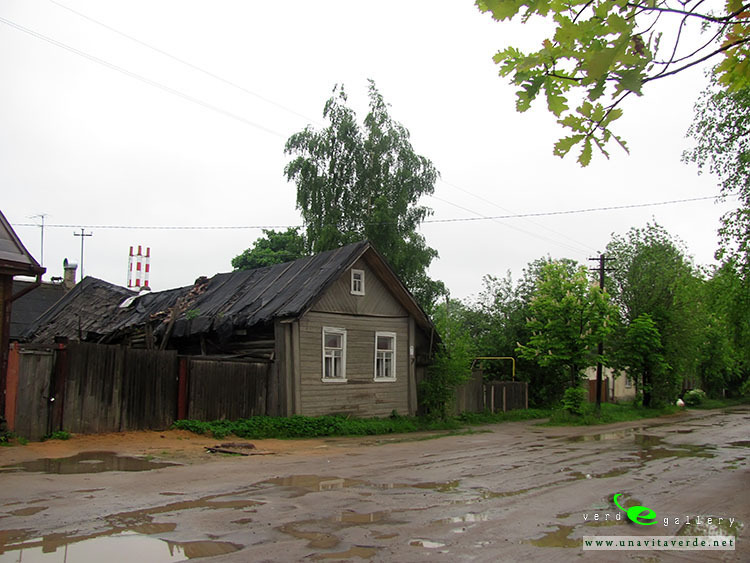 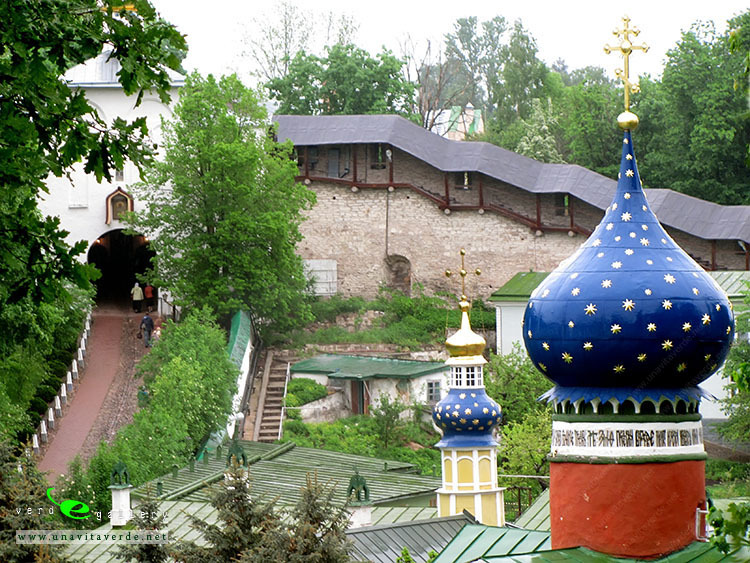 Pechory, Russia. 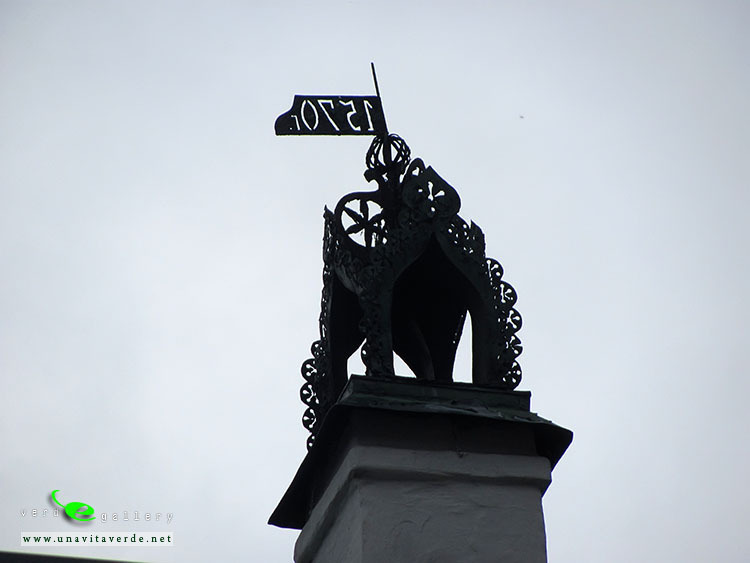 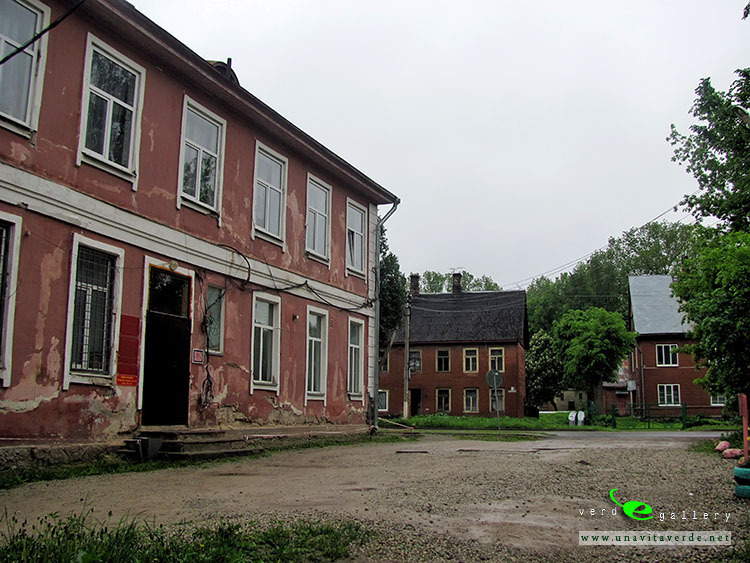 The whole historic province of Pechory (Estonian: Petserimaa) is regarded as the homeland of the Setos, a Finnic people related to Estonians. 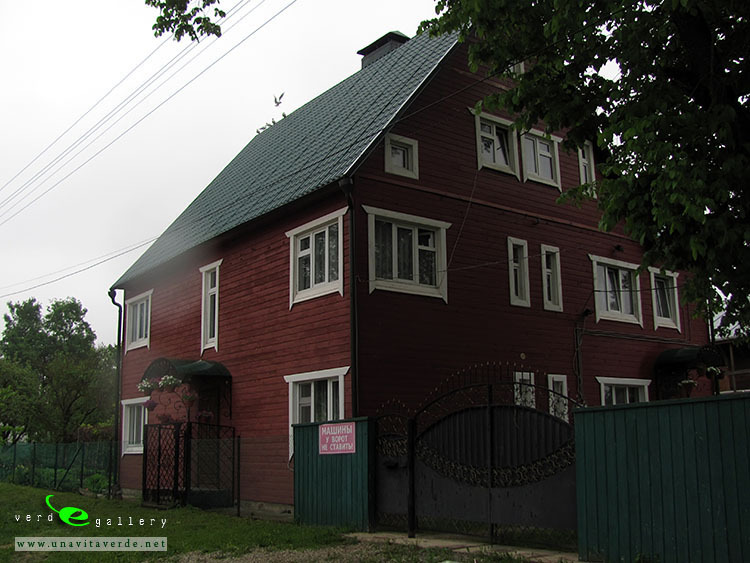 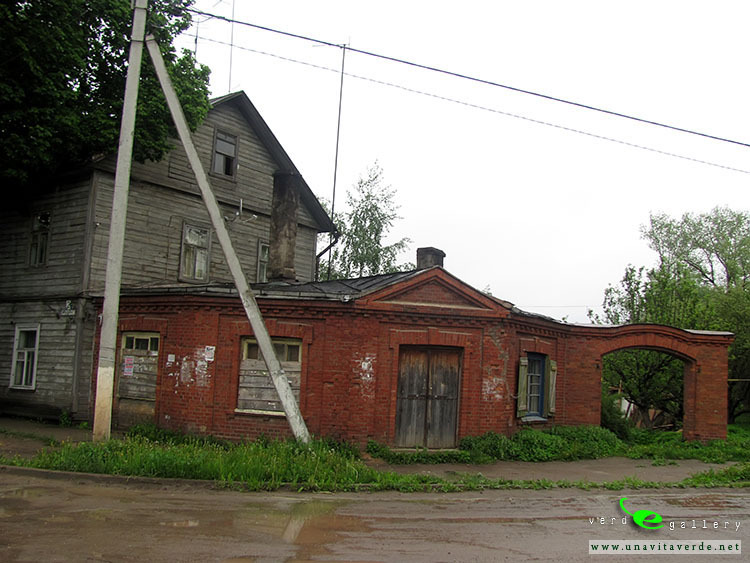 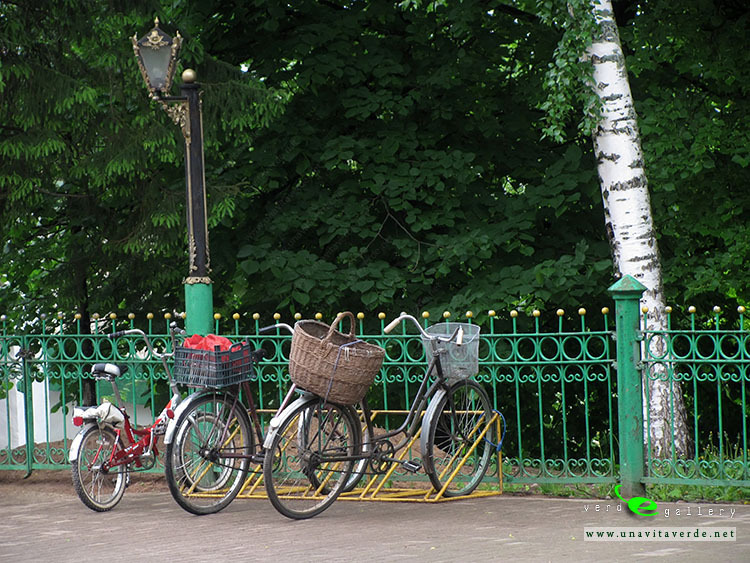 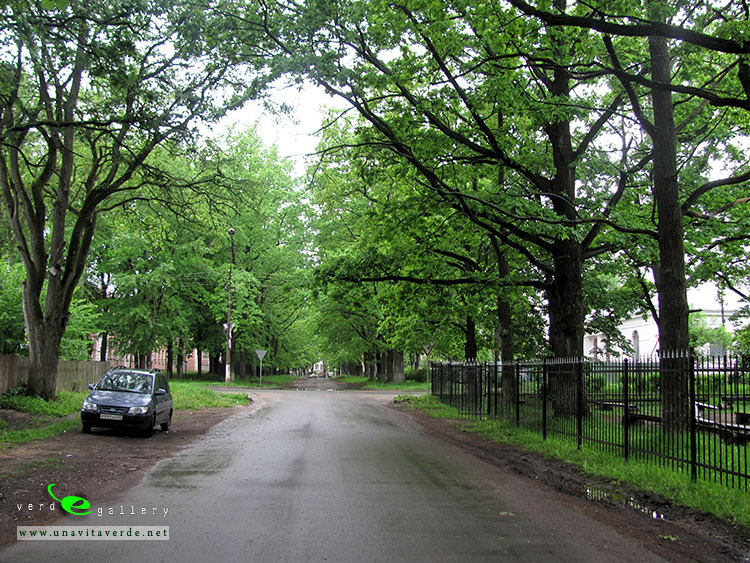 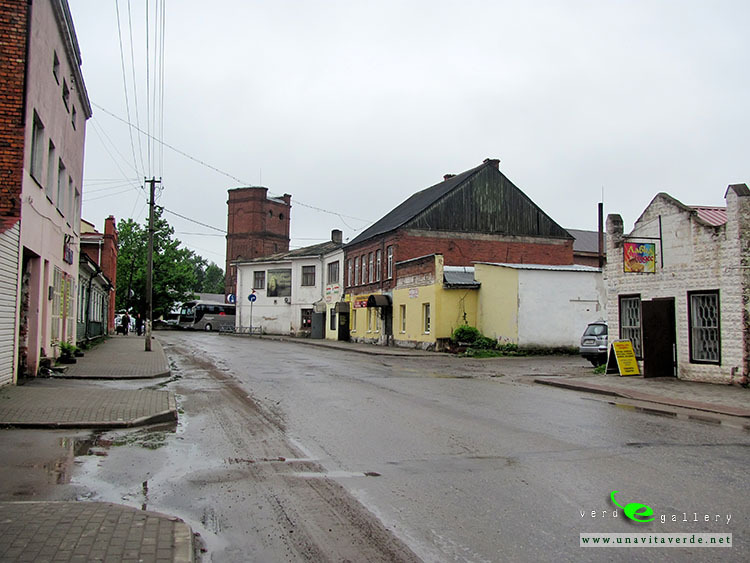 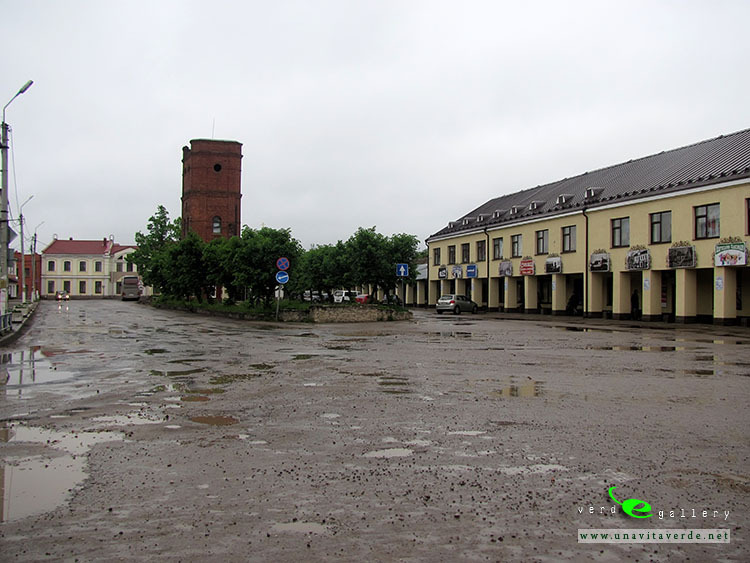 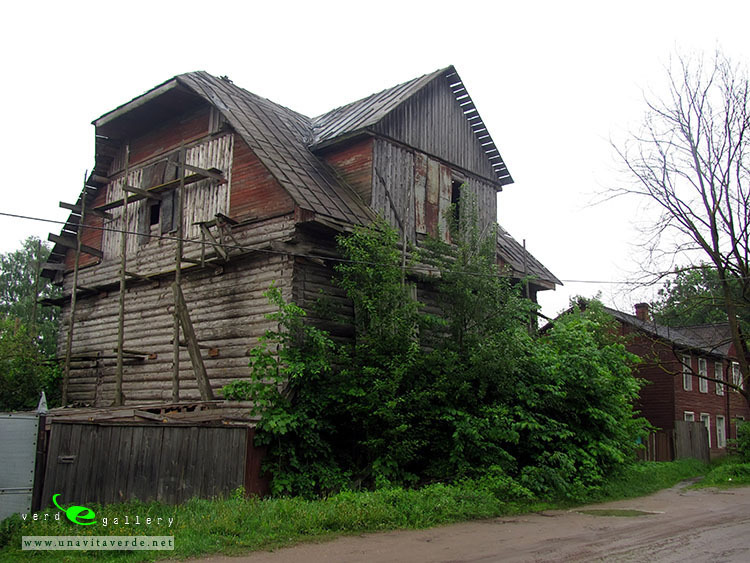 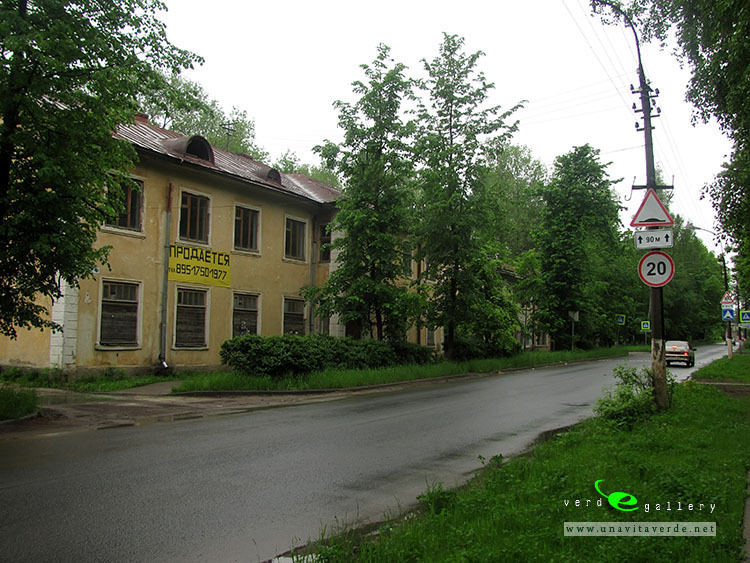 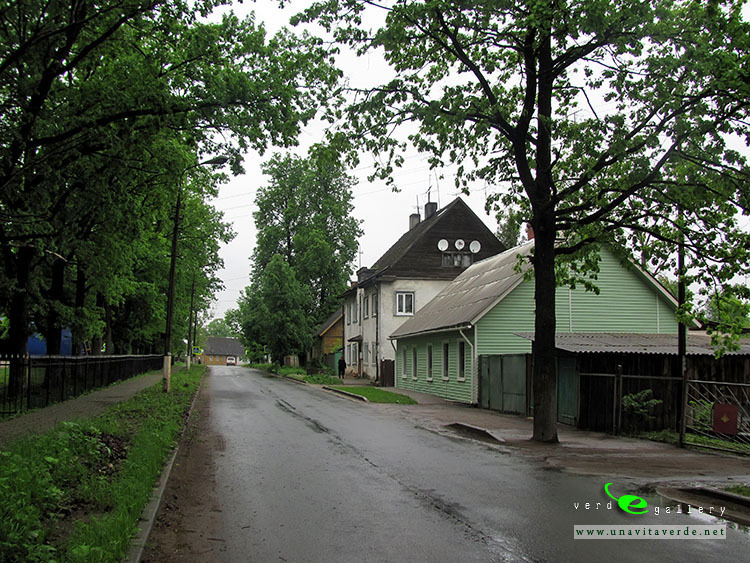 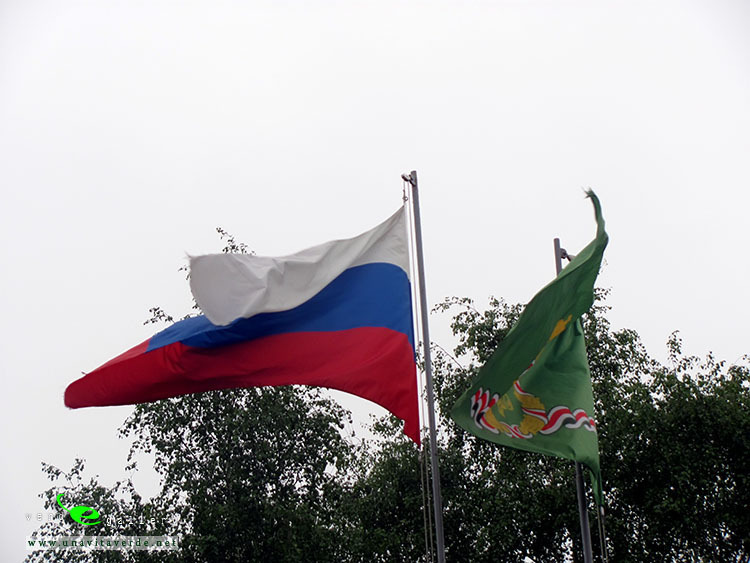 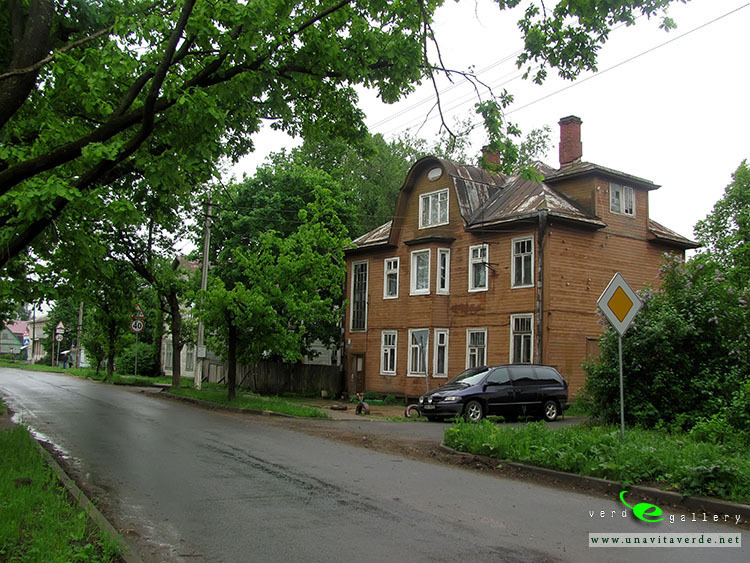 The Russian inhabitants of Pechory district were mainly Old Believers who spoke a transitional dialect between Russian and the Belarusian language. 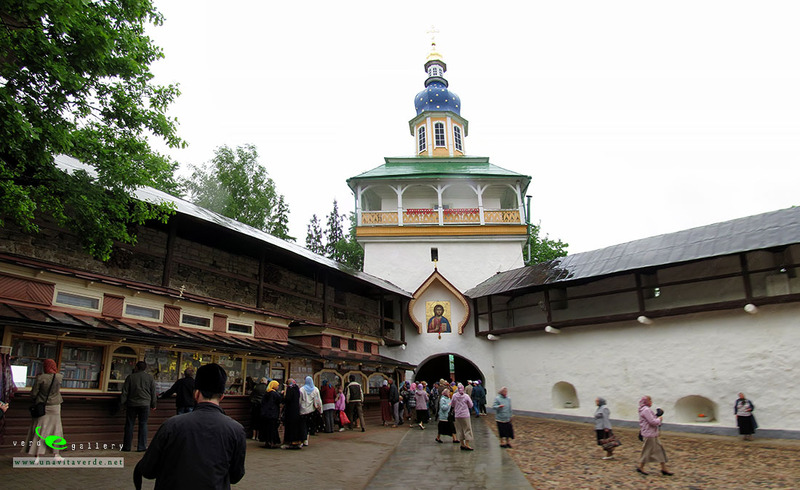 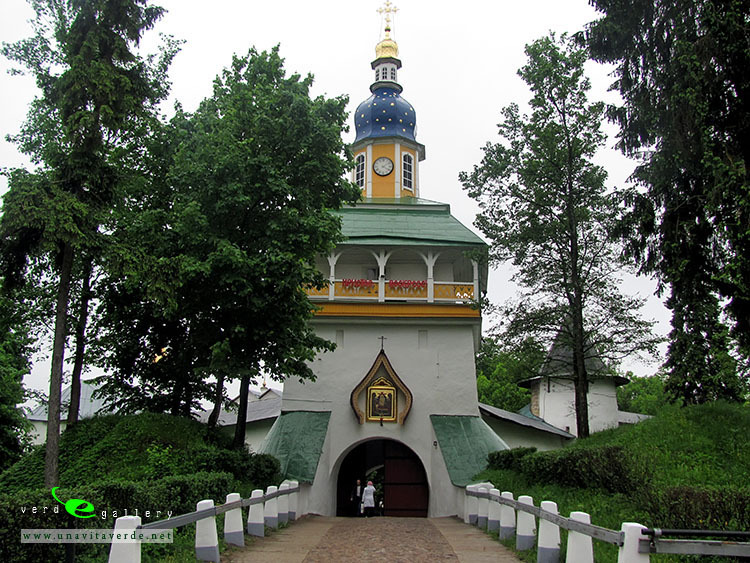 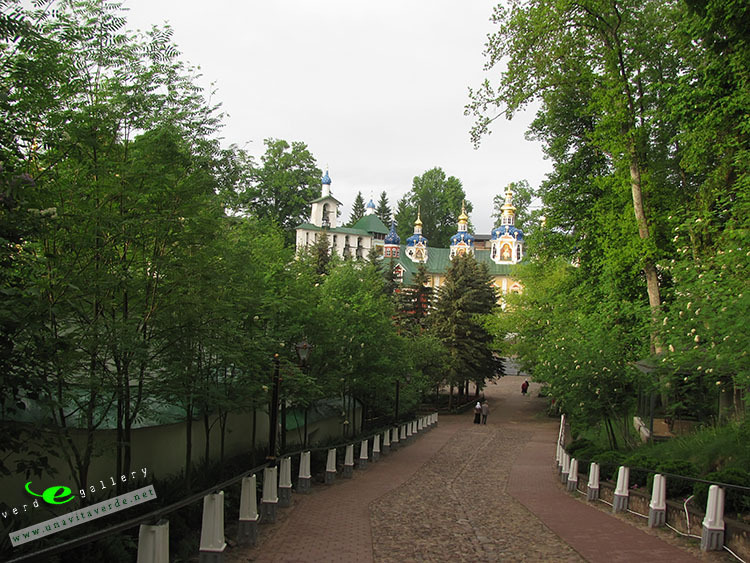 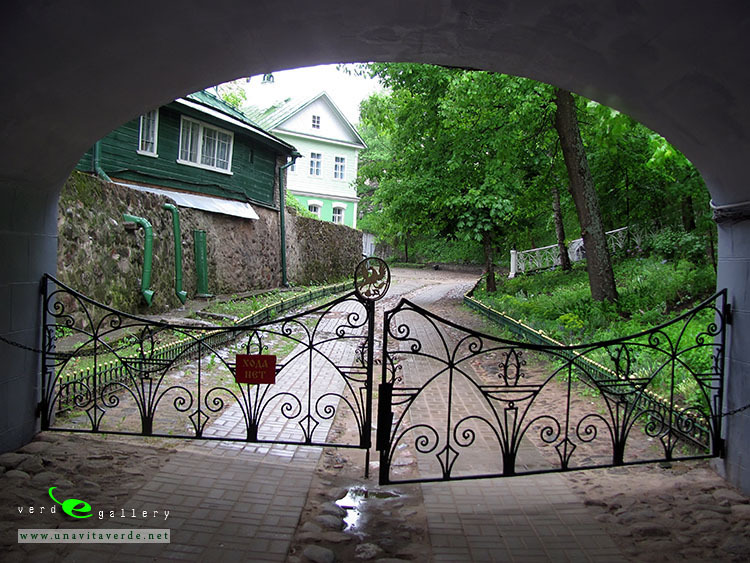 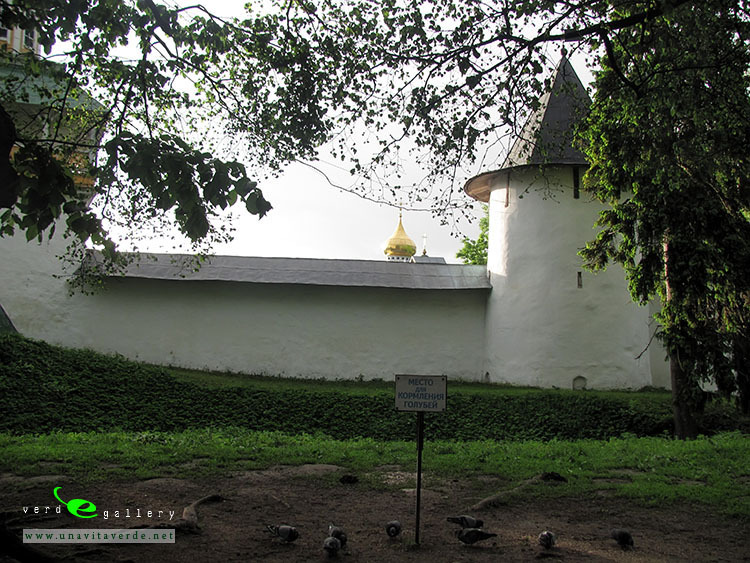 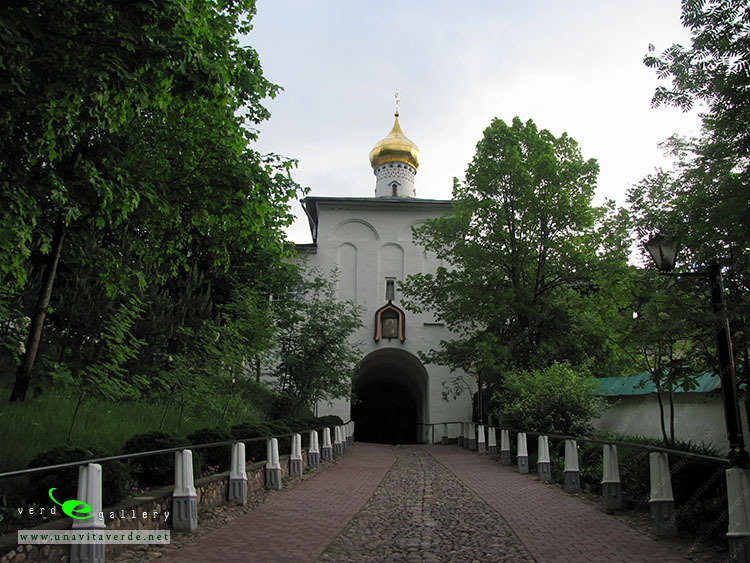 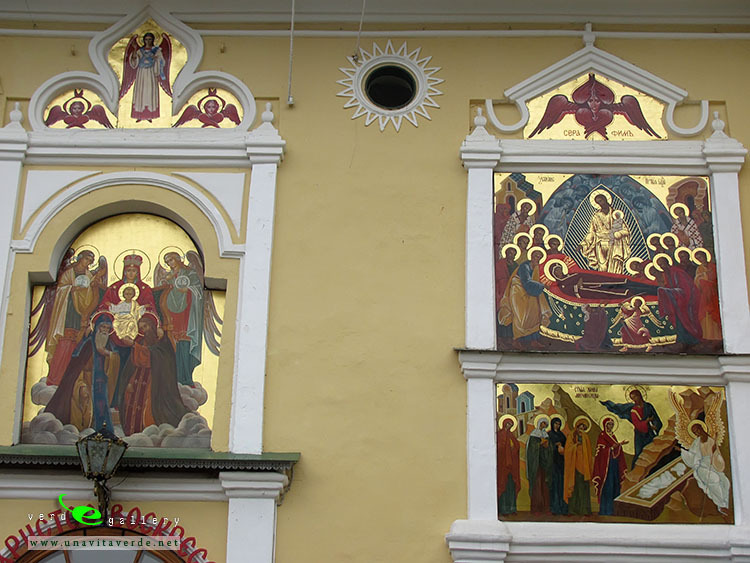 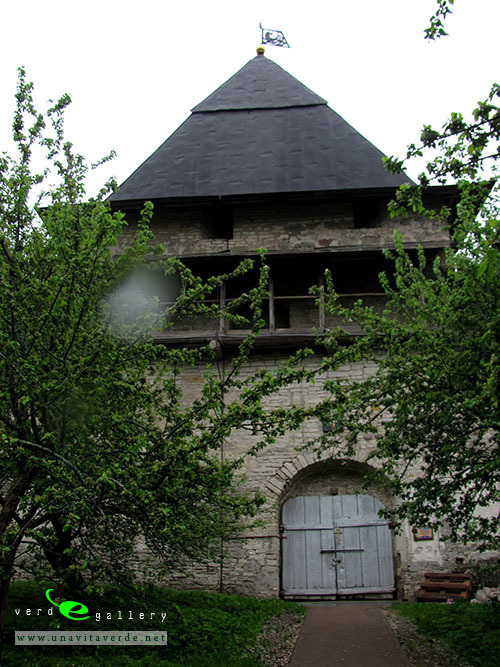 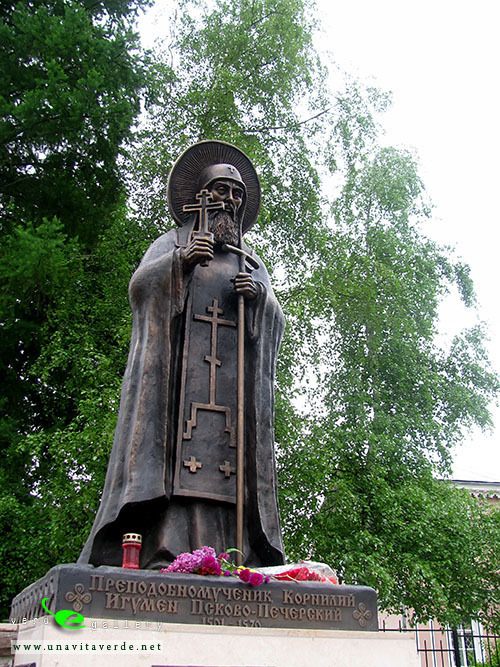 In the mid-15th century was founded Pskov-Caves Monastery or The Pskovo-Pechersky Dormition Monastery or Pskovo-Pechersky Monastery, when the first hermits settled in local caves there. 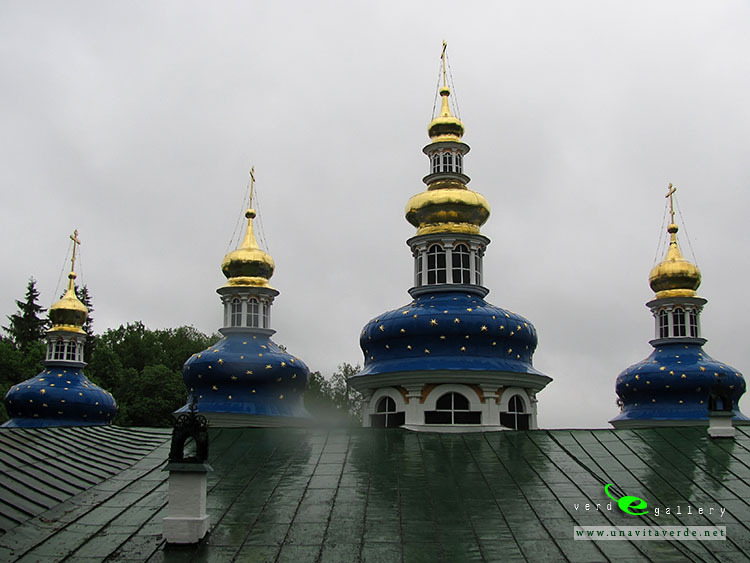 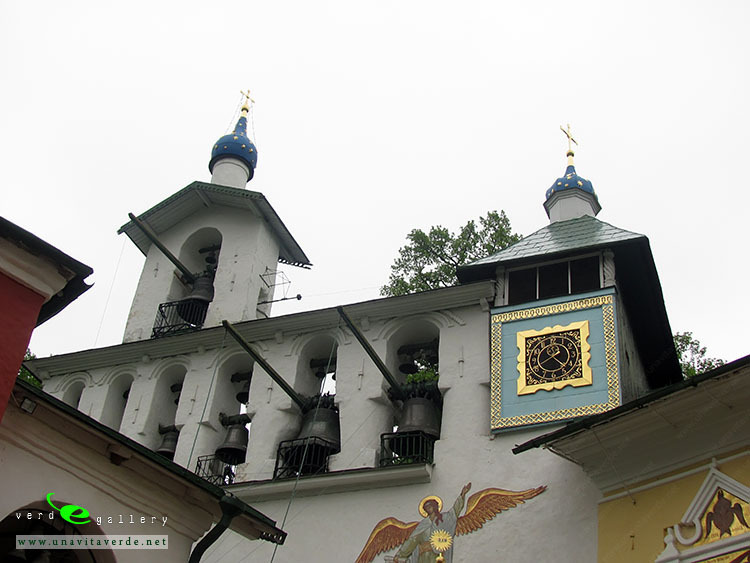 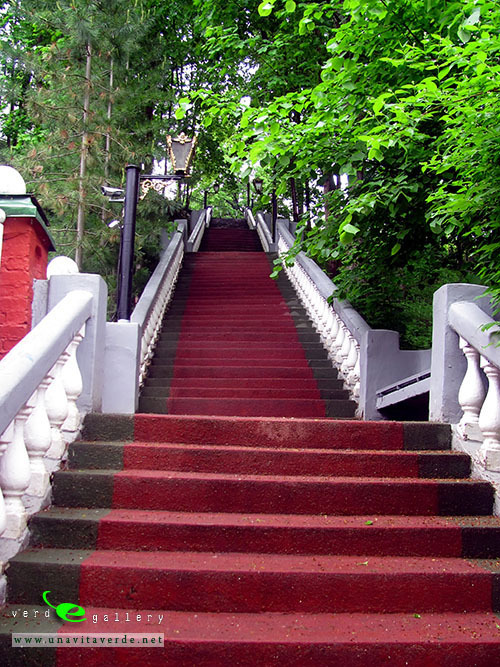 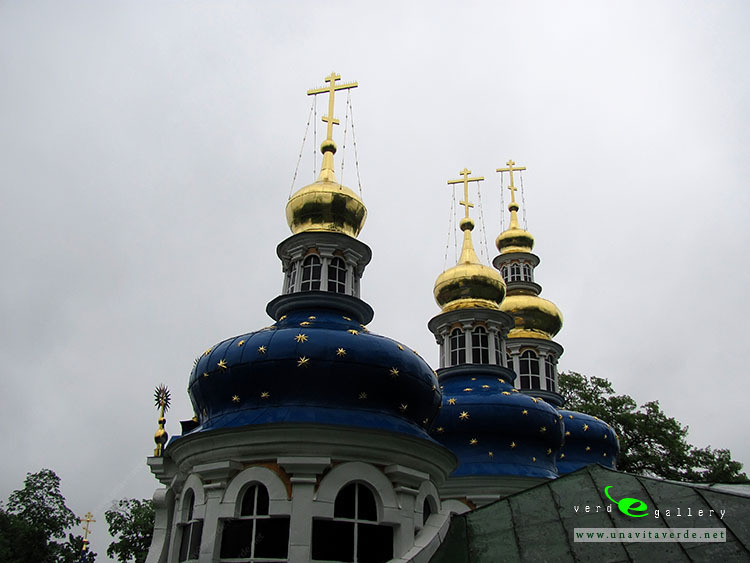 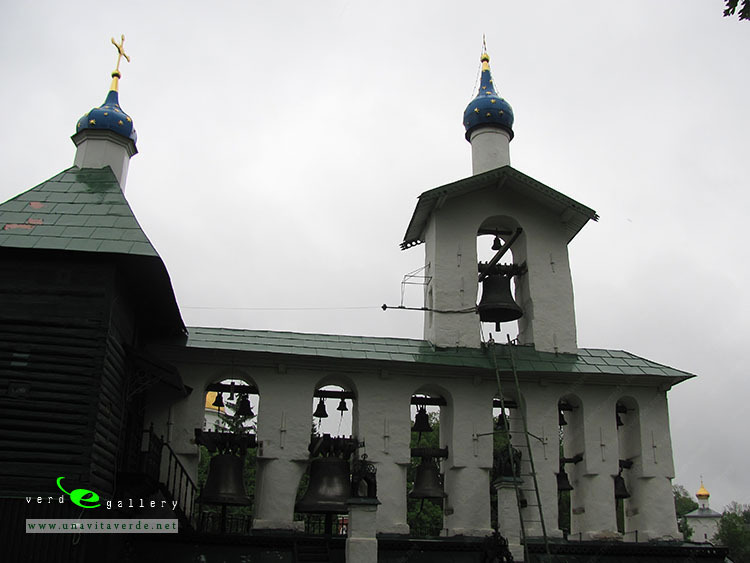 This is one of the most important Russian Orthodox male monasteries. 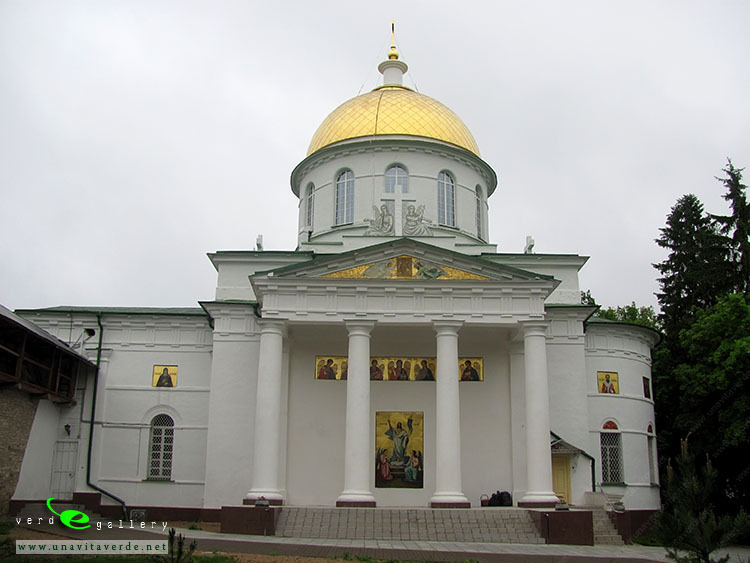 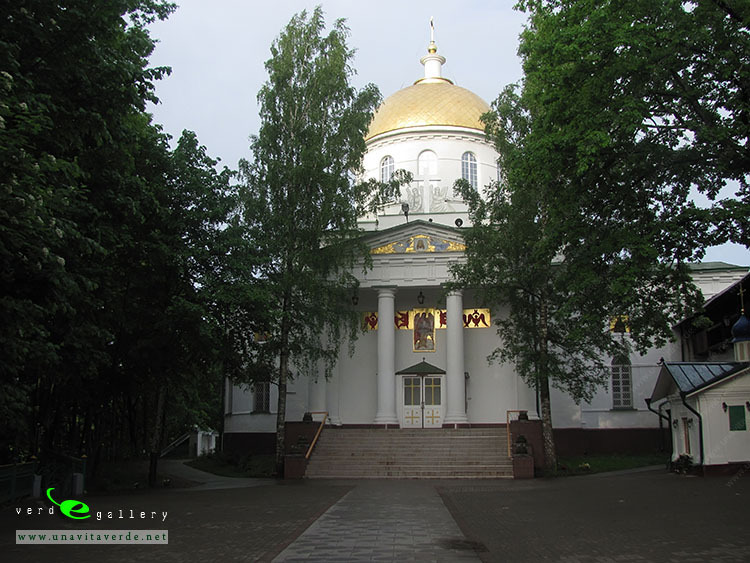 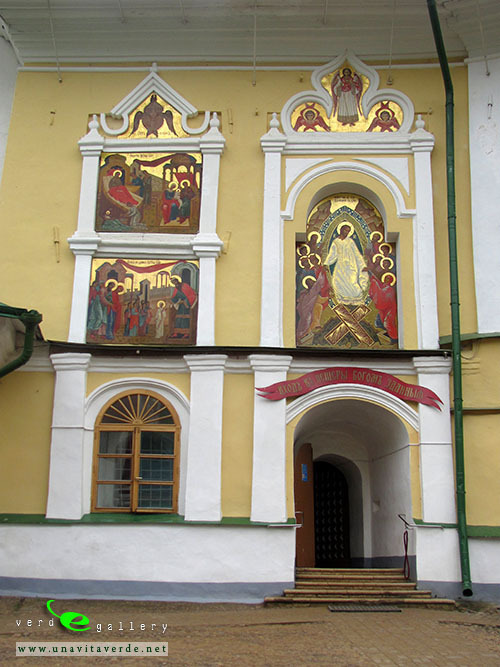 The first cave Church of the Dormition of the Theotokos was built in 1473, its modern facade was constructed in the 18th century. 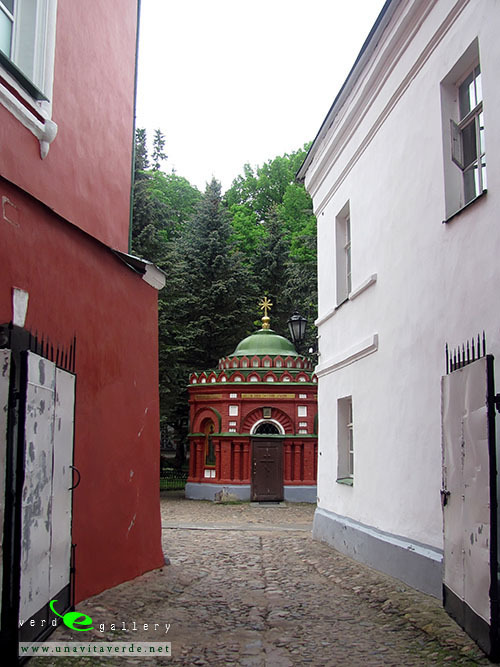 Ivan the Terrible’s repentance: he asks the hegumen (father superior) Cornelius of the Pskovo-Pechorsky Monastery to let him take the tonsure at his monastery. 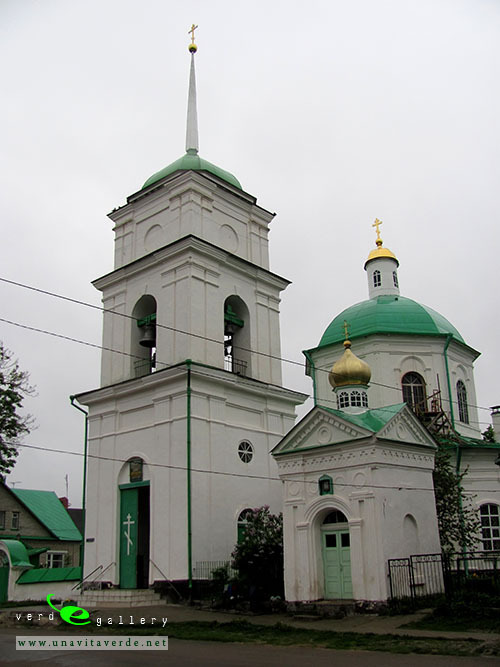 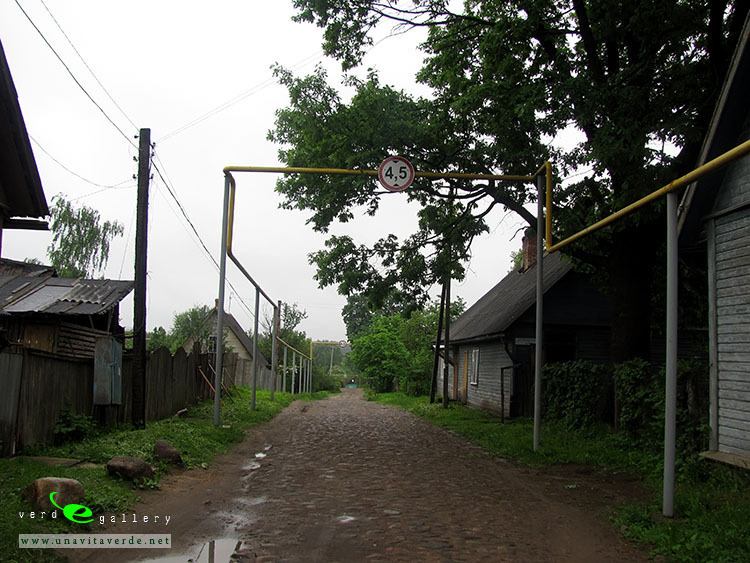 During the reign of Ivan the Terrible, Pechory was an important border stronghold. 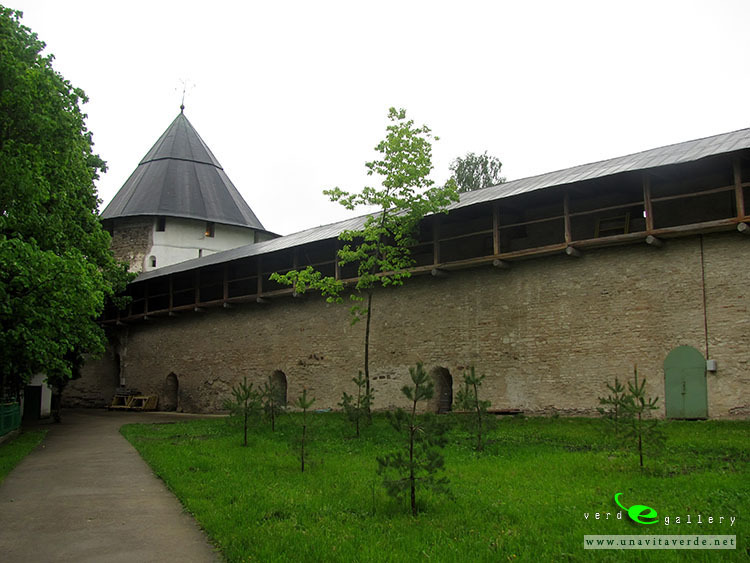 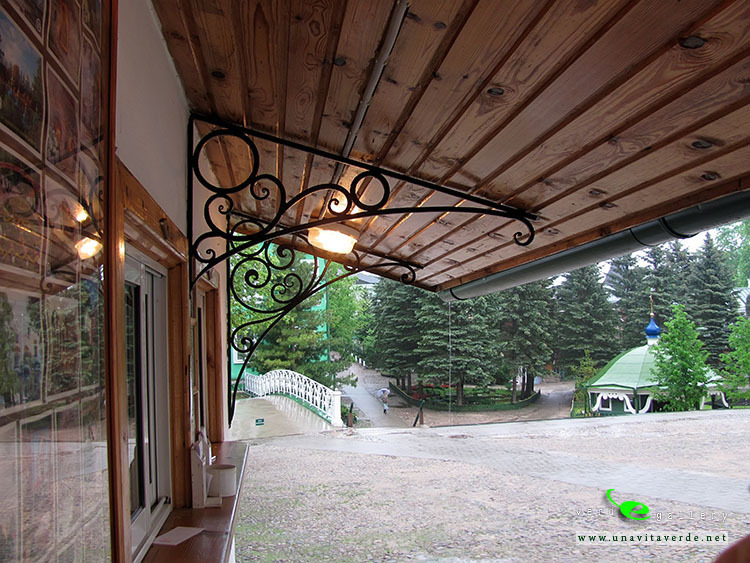 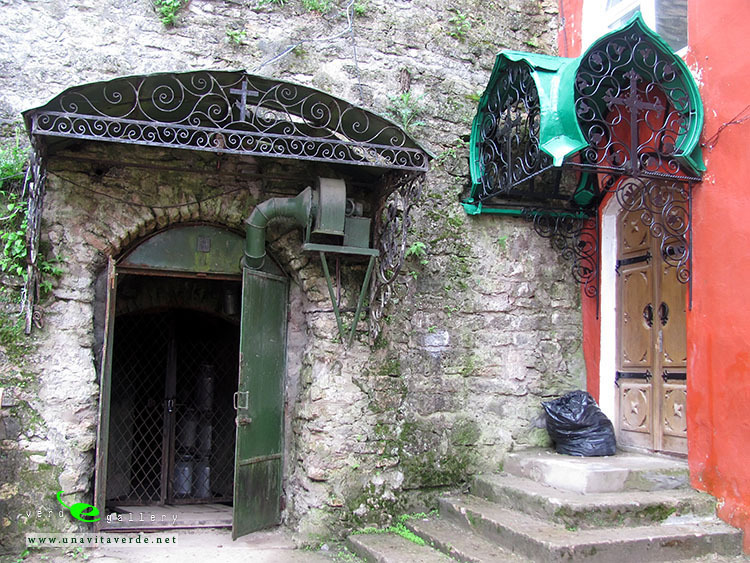 After The town was founded as a posad near the monastery in the 16th century and soon developed into an important trading post. 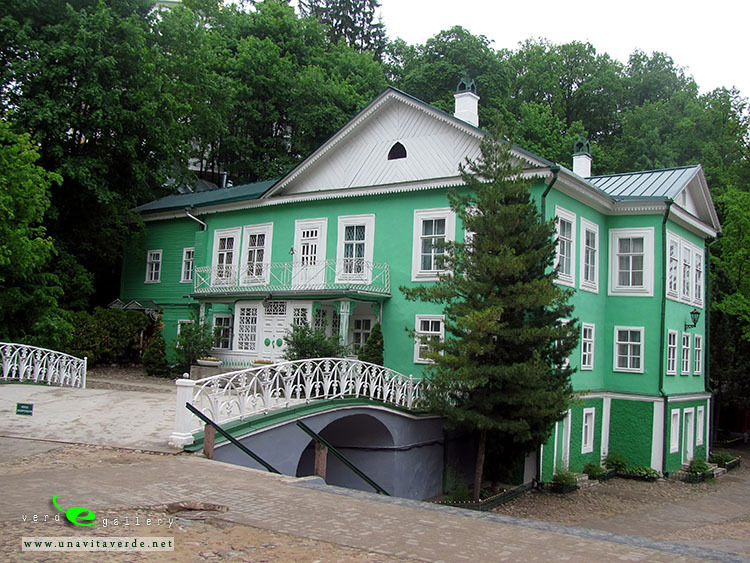 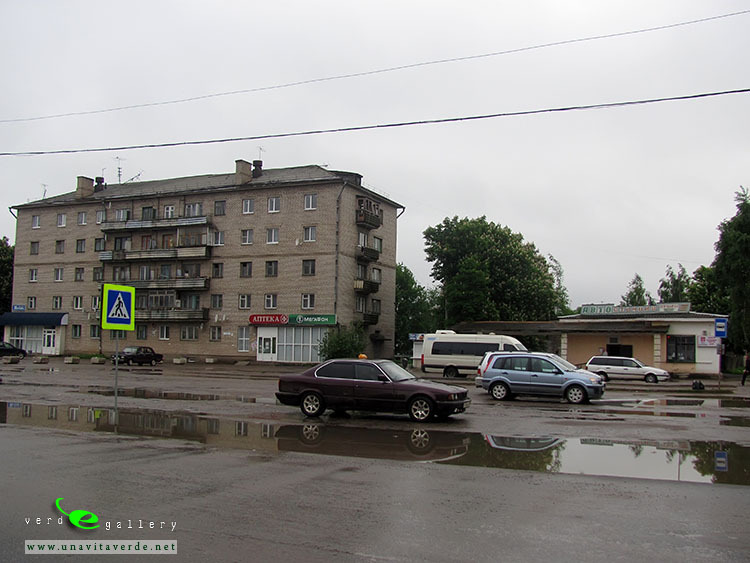 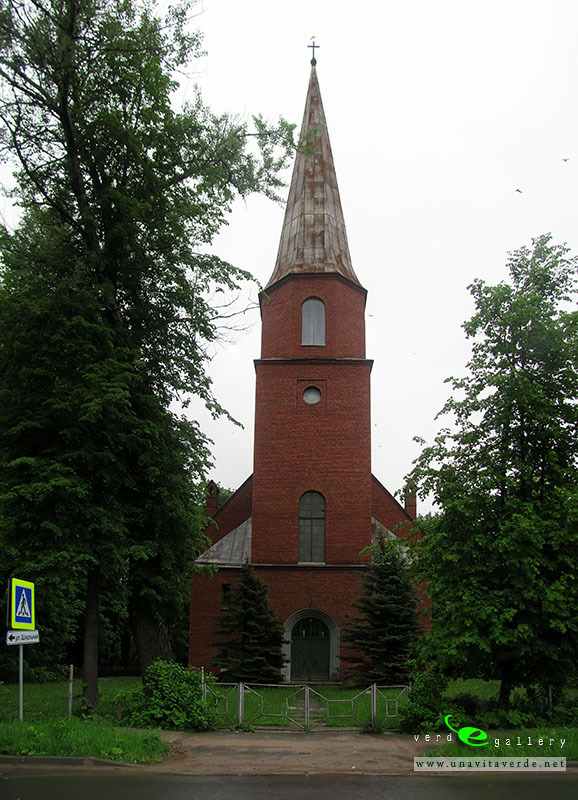 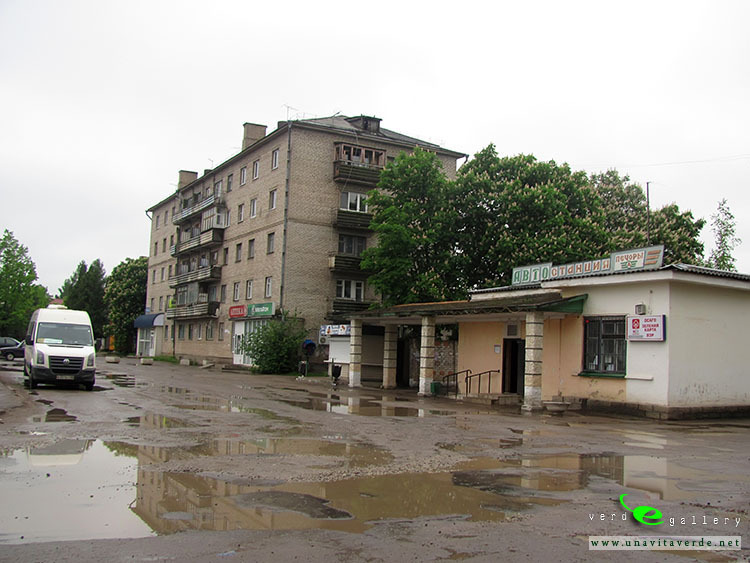 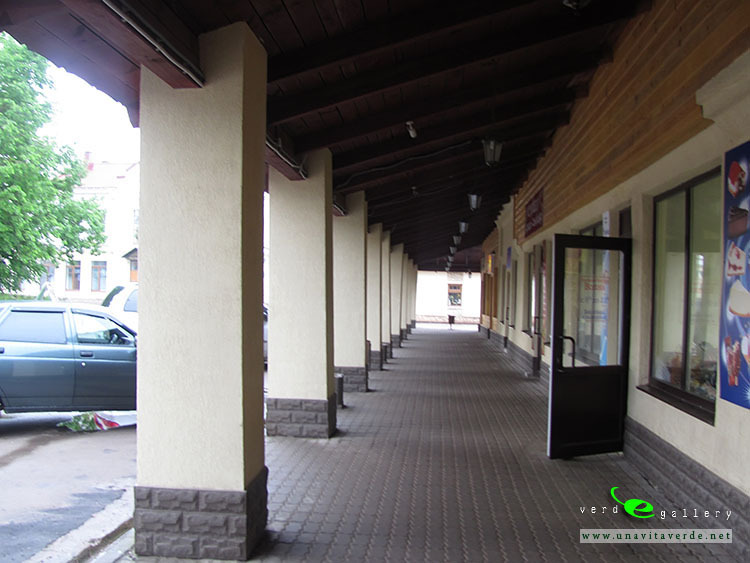 A now Pechory (Estonian: Petserimaa) is a town and the administrative center of Pechorsky District of Pskov Oblast, Russia. 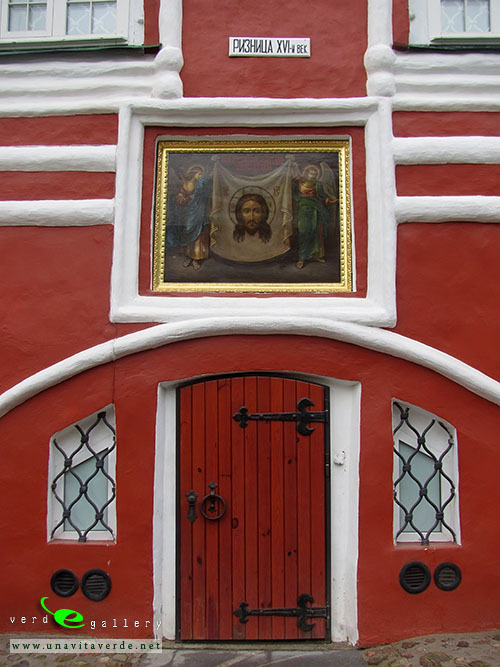 This population includes a few hundred ethnic Estonians. 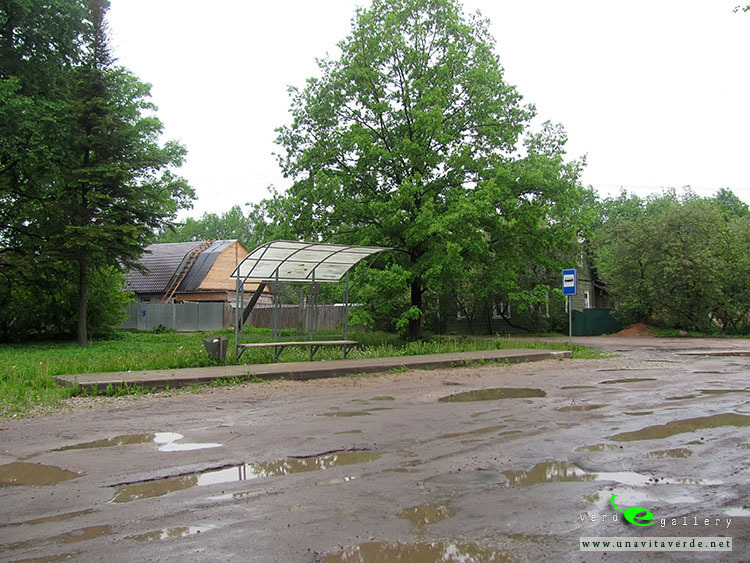 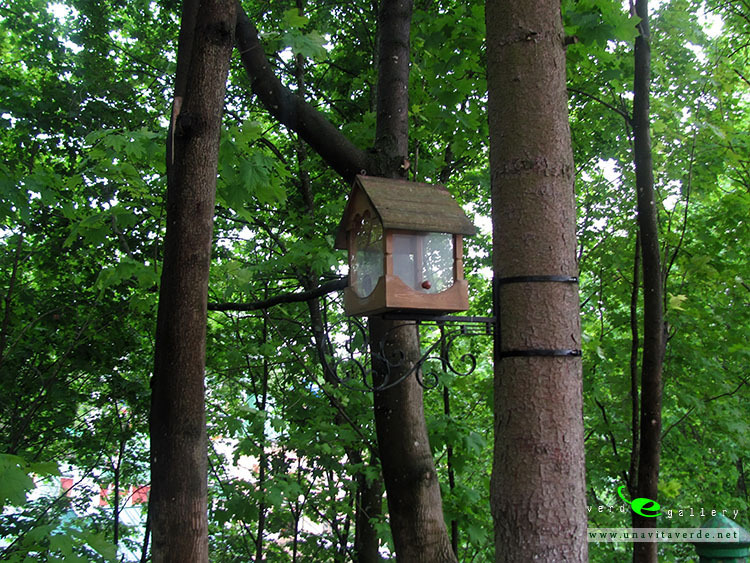 Pictures taken in 25-26 of May, 2013. 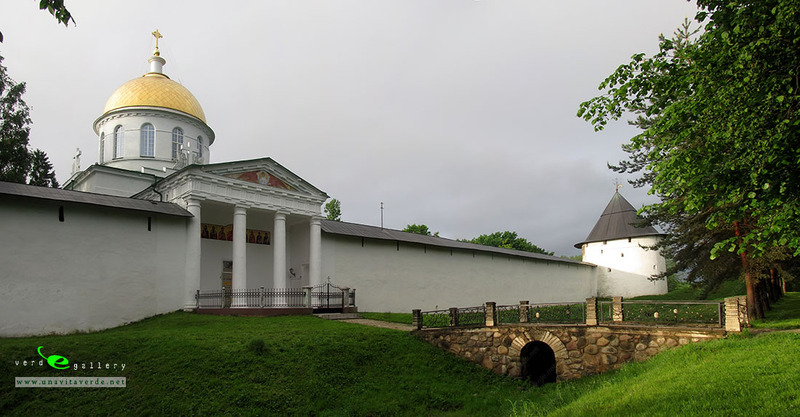 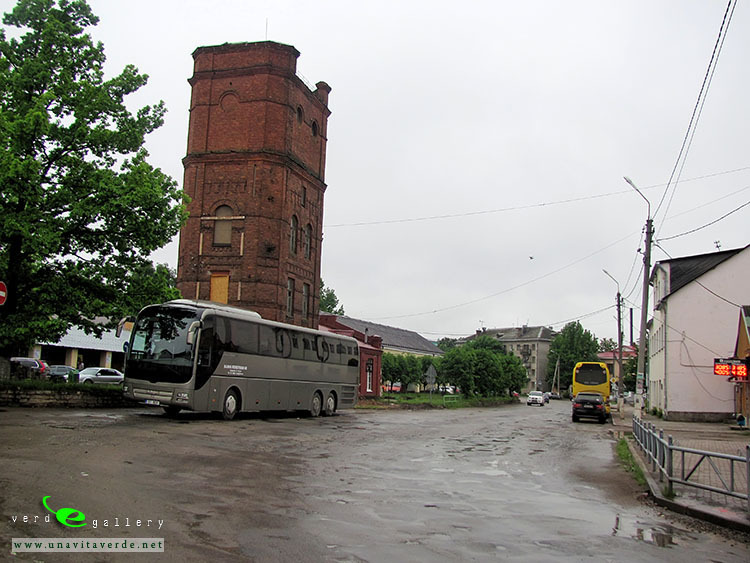 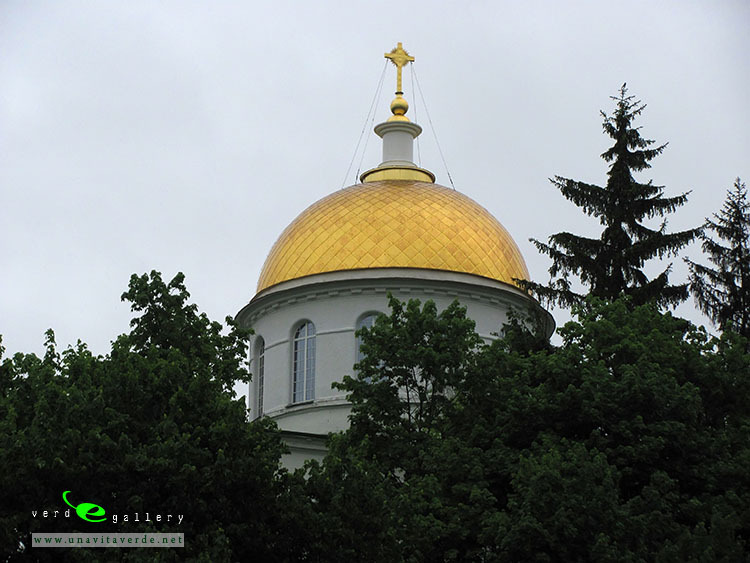 Next Pskov Kremlin: Russia’s land of mystery. 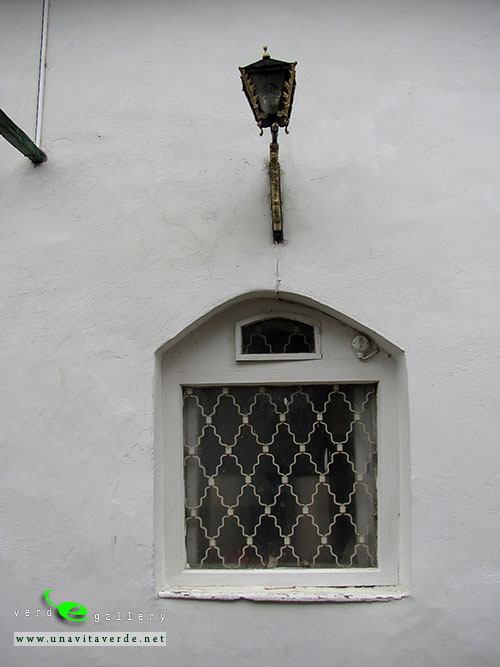 Previous Heaven sent Ghent. 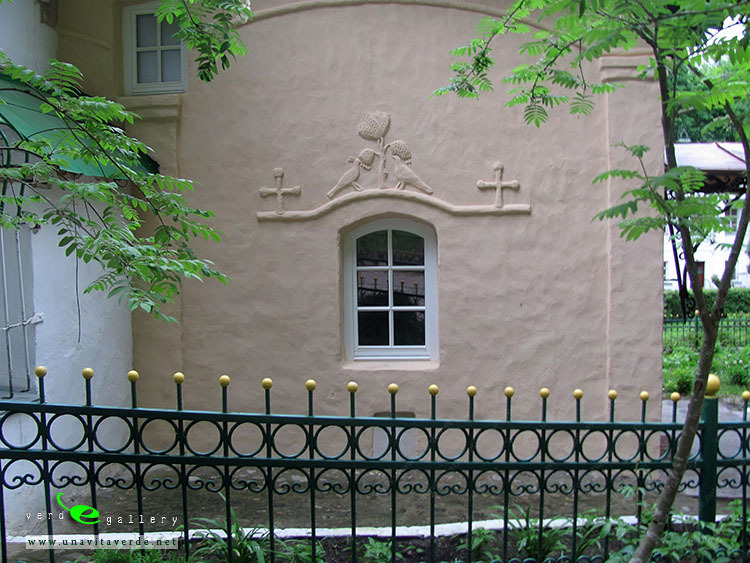 Charm and quirkiness.